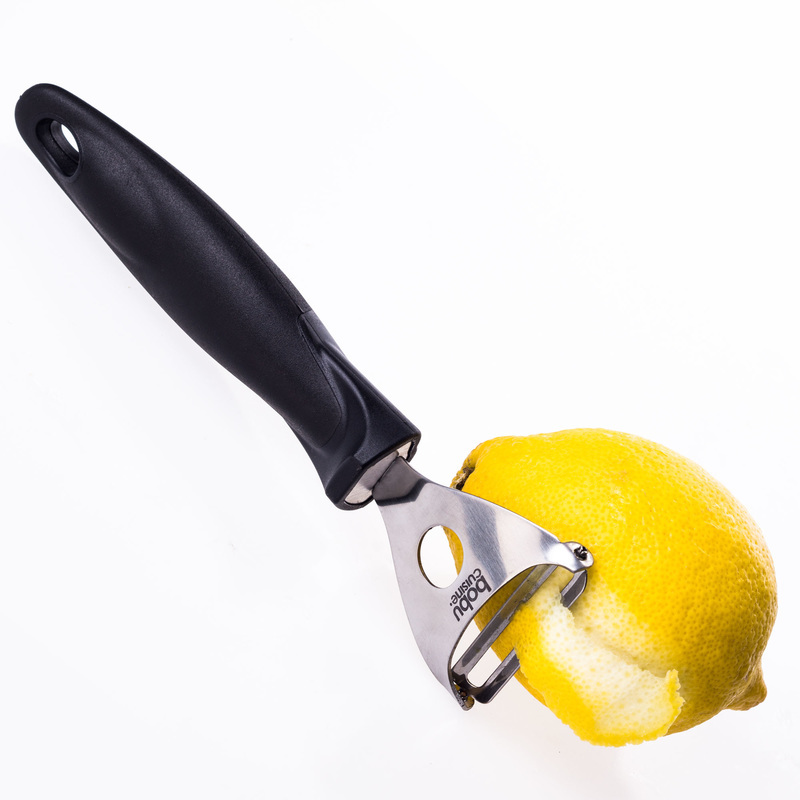 FASTEST PEELERS AVAILABLE You will save a huge amount of time with these incredibly powerful stainless steel blades. 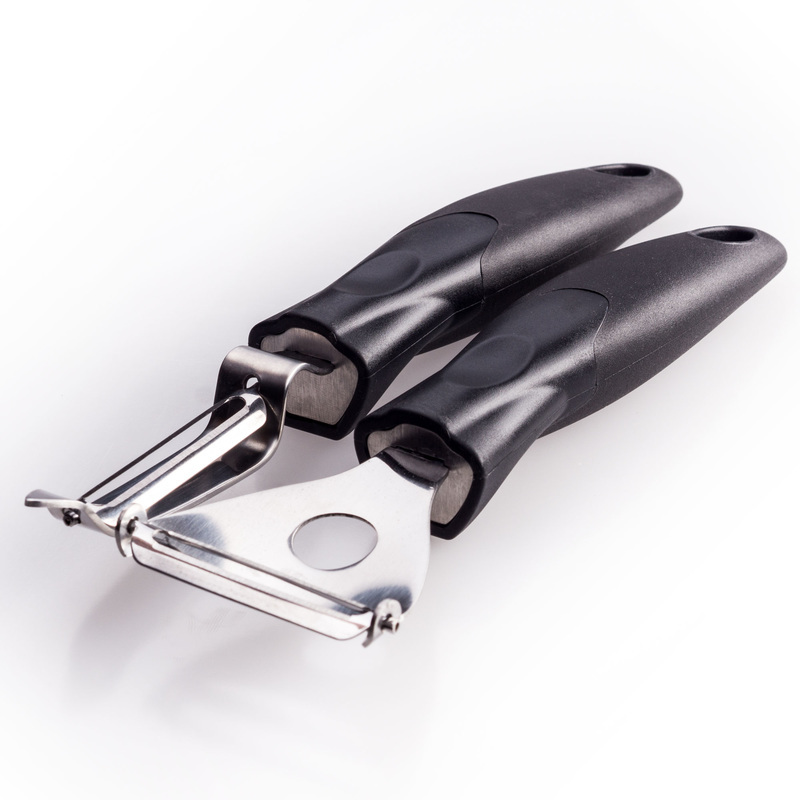 We have tested our peelers against other top selling peelers on the market and our peeler set has shown to peel faster and more efficiently than any others out there. EFFORTLESS PEELING Designed Specifically for People with joint pain and/or arthritis, these peelers will feel like an extension of your own hand. 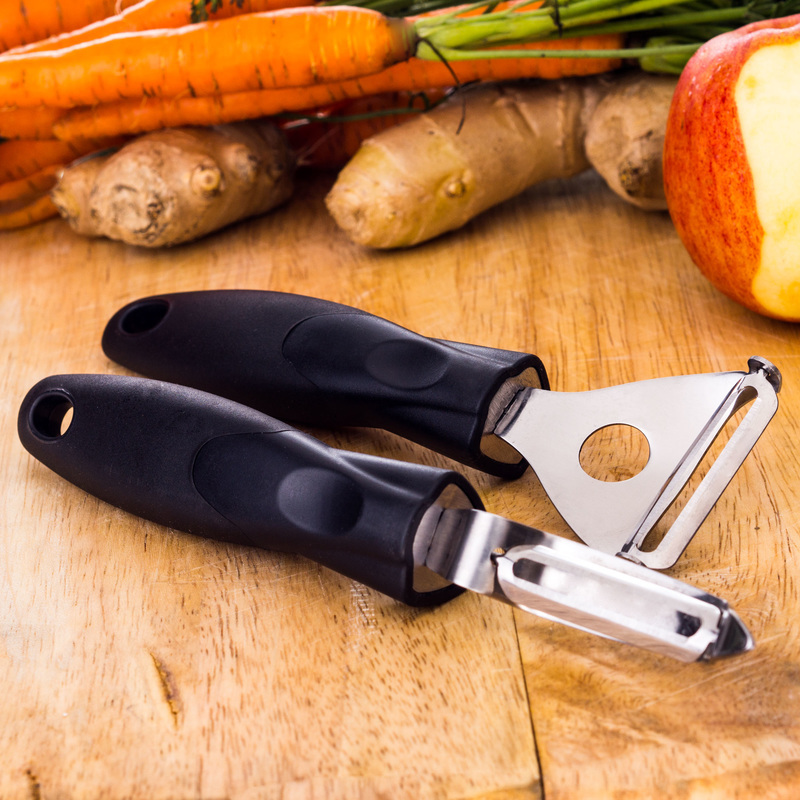 They are built to peel with the littlest of movement possible and will make your peeling tasks quick and easy, no matter what the size of fruit or vegetable. 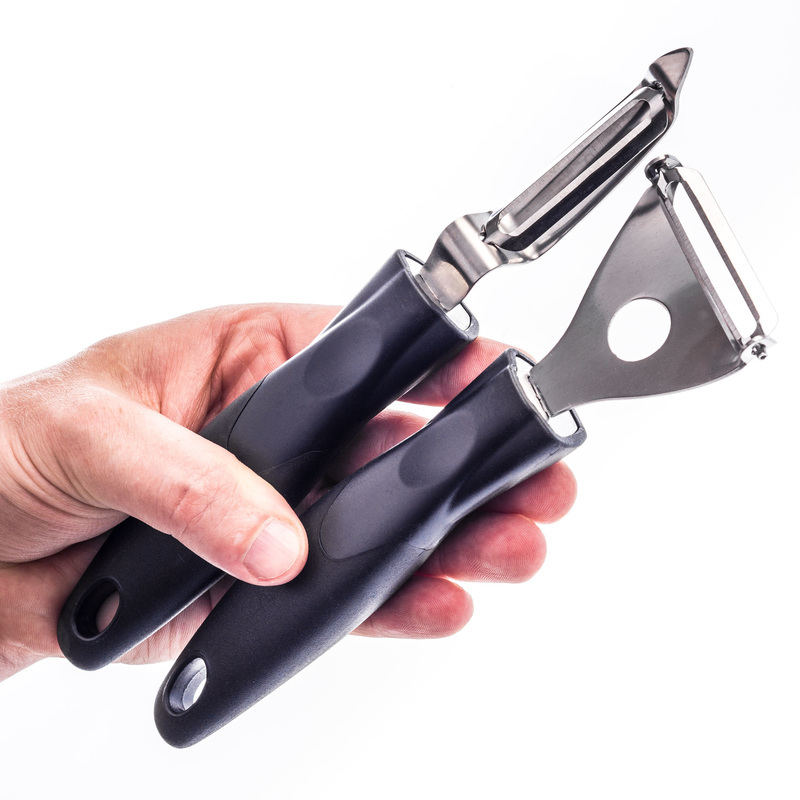 COMFORTABLE & SOFT GRIP No matter how large the potato is, this powerful peeler set is built to make repetitive strokes smooth and painless. 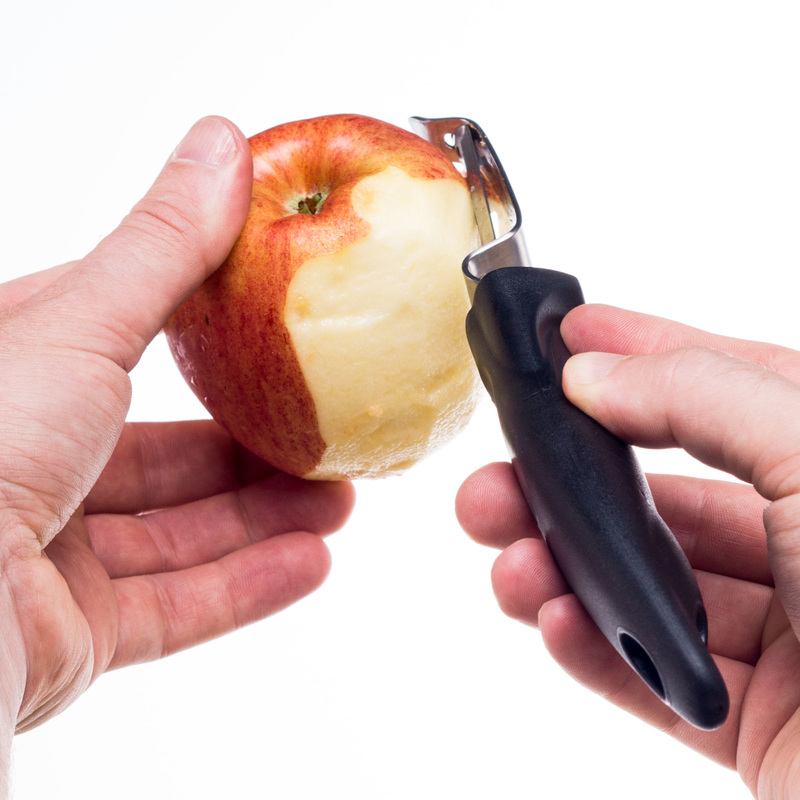 Whether you are right or left handed, all of your fruits and vegetables will be peeled quickly with skins removed efficiently. UNIQUE AND ELEGANT DESIGN We didn't compromise the style, our peelers are a beautiful classy black and white shade that will bring class and loads of fun to your kitchen - a bobuCuisine original. DISHWASHER SAFE Blades are dishwasher safe for easy cleaning. ORDER TODAY! You will absolutely LOVE your new Super Peelers!